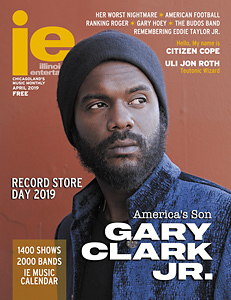 At STUDIOCHICAGO in Chicago, Paris Delane worked on his first solo album, The Learning Tree, which is being co-produced by Gene Wolf . . . Mr. Blotto were in the studio recording their fifth studio album; Chuck Kawal engineered . . . India pop sensation Reggie Benjamin worked with Bob DiFazio on new songs for Kerry Gordy of Universal Records . . . Alain Quinn worked with Kevin Reaves on pre-production for her new album . . . Local jam/funk band MWC finished their long-awaited album, Head First. DiFazio tracked and mixed the album, and Dan Steinman mastered it . . . Radio sports personality Mike North recorded “Caucasian Man” and “Secret Asian Man” for his greatest hits album, which was mastered by Al Ursini. At THE I.V. LAB in Chicago, The Plain White T’s (Fearless) recorded with producer Sean O’Keefe . . . Higway Down recorded their new album with producer Bjorn Thorsrud (Billy Corgan, Dandy Warhols) and engineer Manny Sanchez . 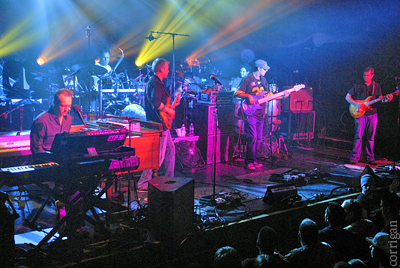 . . Umphrey’s McGee put the fininshing touches on their second album for Sci Fidelity with engineers Kevin Browning and Sanchez . . . Fifteen Minutes Late (Fearless) started recording their first label release with O’Keefe and engineer Sanchez. At ENERGY COMMAND STUDIOS in Arlington Heights, singer-songwriter Manny Capozzi, a native Chicagoan now residing in Rome, worked on core vocals and acoustic guitars for his first full-length CD, which is being paroduced by studio owner Dave Banks and will be released in the U.S. and Italy upon completion in early 2006 . . . Simmering tracked most of the music and drums for nine new songs to be included on their new full length, which is due in early 2006. Guitarists Johnny Haines and Chris Heintz along with singer Ryan Stagg, joined forces with bassist Jim Olson and drummer Gineson Speich. This is their second CD at Energy Command . . . Main Street Minority started work on their three-song CD with full production from Amery “Amo” Schmeisser. Additional recording and mixing is being done at Strudelface in Chicago . . . Chicago band Swizzletree did some pre-production for their new record . . . Punk rockers (and Grayslake natives) I.O.W.A. enlisted Banks to produce their first three-song CD. Members Neil Tobey, Jim Sepanik, and Lenny Phillips cranked out three songs, including their signature song co-written with Banks called “Memorial Day” . . . Tinisha Brewer recorded a track . . . Hip-hop/R&B producer Daniel Wolf recorded some demos recently for an indie label . . . Lovejelly worked on a few music and vocal tracks for their new CD, due in 2006 . . . Gwendolyn Greer recorded three new tracks for her six-song CD . . . Singer Maulik Shukla recorded three songs as a preview for his first release . . . Michelle Nitti recorded a two-song vocal demo . . . R&B singer Cherisa began work on tracks with Schmeisser. Session players Don Carlsson (guitars) and Banks (bass) contributed. Billy O’Neill (Oh My God), Anthony Gravino (Temple Of Low Men), and Michael Caskey (Brothers Groove, The Goran Ivanovic Group) started recording songs for their new band, Music For 5 Year Olds. They’re laying down tracks in their own studio, also called MUSIC FOR 5 YEAR OLDS. At MILLION YEN STUDIOS in Chicago, The Reputation worked on on new material . . . NBT recorded an EP for D.F.T. Records. Those sessions were recorded by Andy Gerber and assisted by Geoff Sabin. Hey Studiophilers: To get your studio or band listed in “Studiophile,” just email info on who you’re recording or who’s recording you to ieeditors@aol.com, subject Studiophile, or fax (312) 922-9369. We reserve the right to edit or omit submissions for space. Deadline for our February issue is January 5th. Do you know how I can contact Paris Delane? How would like to purchase his music. (The Learning Tree). If no contact information, do you know how I can buy his music? Thanks for any help.